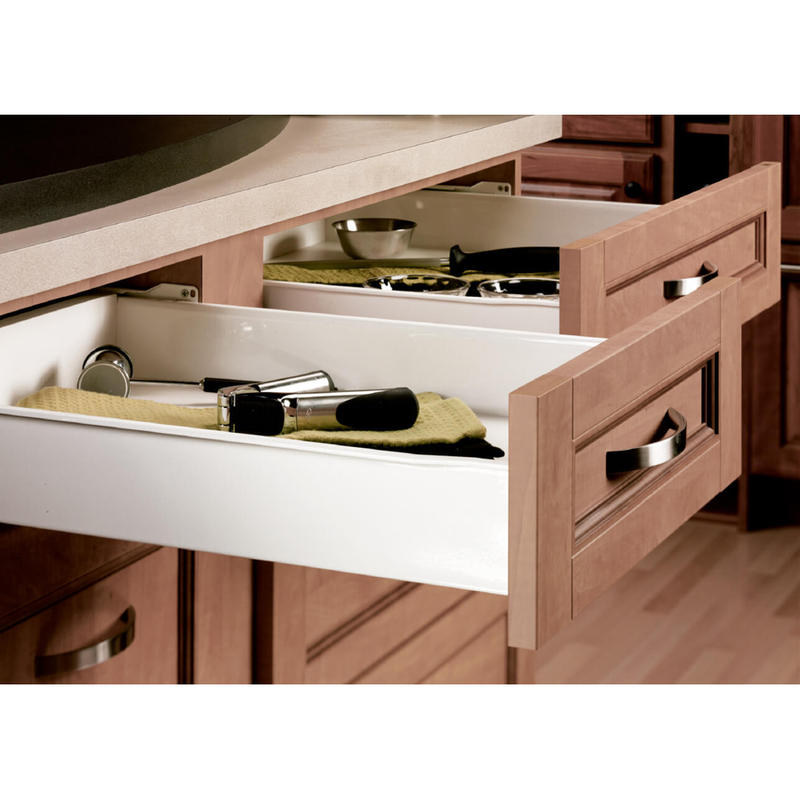 The Grass Zargen Drawer system features: Integrated drawer slide and drawer side, 100lb dynamic load rating, self-close, 3-way adjustment, built-in drawer front bumpers, drawer assembly in 2 minutes, and made in the USA. The Zargen integrated Euro drawer slide and metal side panel system is cost effective allowing users to assemble and install a drawer in two minutes (with the right equipment). 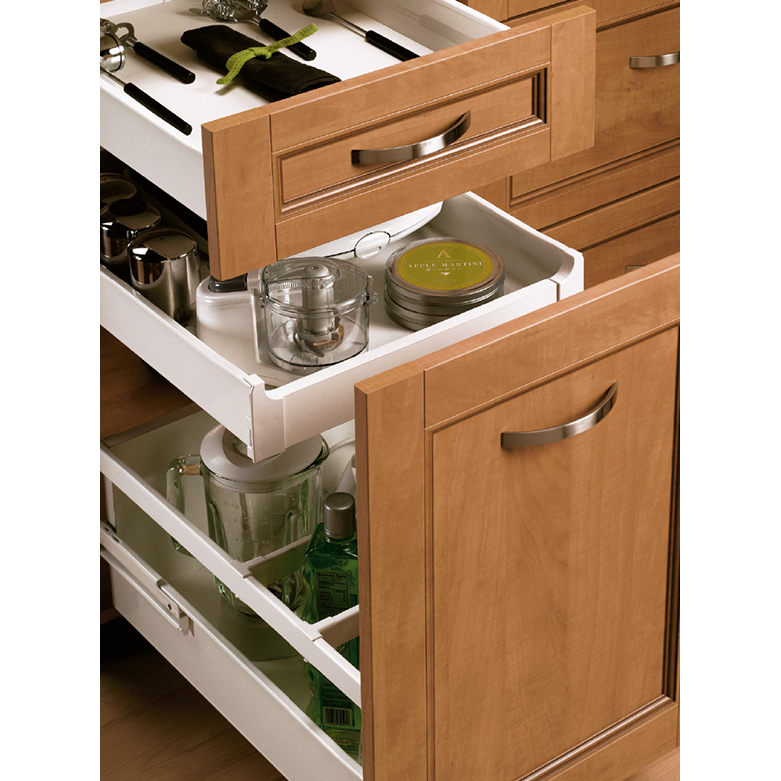 Built in self-closing feature automatically closes the drawer within a range of 2-5/8"